Being a responsible adult means making sure loved ones who depend on you are financially safeguarded if you unexpectedly leave them behind. The way you provide that protection is with life insurance. Life insurance is something you probably may not have, or if you do it’s probably time to have it reviewed. Either way here are some very good reasons as to why you should invest in a life assurance policy. Leaving debts for family members to pay is a big worry for many people. You don’t want them to have to sell their home to pay off the mortgage. Many policies will cover the remainder of the mortgage, one less expense every month that your loved ones have to cover. When you pass away, suddenly the household income has dropped. Keep your partner and children in the life they are accustomed by taking out a plan that will pay out your income. Chances are that your partner will need to hire domestic help to help with taking the children to school, doing the chores and doctor runs when the children become ill. If you pass away before your children have finished education, paying for it can become a big issue for your partner. Help your children and give them the best possible education by getting a plan that covers all of their educational expenses. After all, a good education is the best gift you can give your children. This is very common in high value estates. It covers all the taxes incurred in inheritance tax. It will protect your estate from high amounts of tax and keeps your estate and assets intact so your loved ones can remember you for the loving, kind, generous and careful planner that you were. The cost of funerals can run into the 10’s of thousands. Avoid putting more pressure, financial burden and stress on your loved ones by taking out life assurance which will cover all the costs of your funeral. Nobody wants to bury their husband, wife, child or parents, make it a little easier by covering all the costs. It makes sense to insure your home, your car and your family against the unexpected. Taking out a pension to fund your retirement is also the sensible thing to do. But what about your income? Your Biggest Asset!! What if you were to suffer an accident or long-term illness that prevented you from earning an income and providing for your family’s lifestyle? Income Protection is designed to provide you with an alternative income if you suffer any illness or injury which prevents you from earning an income of your own. It helps take care of your financial needs at a time when money worries should be the last thing on your mind as you focus on recovery. Your premium is subject to tax relief at the highest rate. 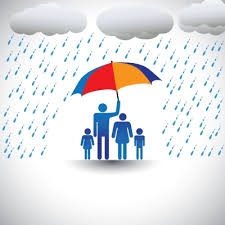 Now you have more reasons to consider taking out a life assurance plan, why not speak to one of our team as there are very competitive and discounted rates on offer at the moment. Contact us today on 01 4972544 to find out how a life assurance plan can protect your loved ones in the event of your demise. Hegarty Financial Management Limited registered in Ireland. Registered Number: 111444. Registered Office: 47 Lower Mount Pleasant Avenue, Rathmines, Dublin 6. Directors: Jim Hegarty, Maura Hegarty, Niamh Hegarty. Hegarty Financial Management Limited is regulated by the Central Bank of Ireland.